Back in 2012, I read 58 books over the course of the year. This year is just sad in comparison, as I am currently only at 18 books. Life has become much busier over the last couple of years, and my reading has taken a hit as a consequence. But that doesn't mean I can't feature some of my favorite books of those 18 that I've read this past year! I have a kindle paperwhite now, which you would think would help with the reading, but lately the library decides to give me all of the books I've put on hold at once, so I don't have enough time to finish them all before they're due back again. So annoying! Suppose maybe that means I should just starting buying some or something, but I've always been a bigger fan of the library than outright buying novels unless I already know I love them and will want to read them again and again. And let's be honest, those books I would buy hard copies of anyway. Okay, now that I've rambled on a bit, let's get to my favorites of the year! Synopsis: Amara is never alone. Not when she's protecting the cursed princess she unwillingly serves. Not when they're fleeing across dunes and islands and seas to stay alive. Not when she's punished, ordered around, or neglected. She can't be alone, because a boy from another world experiences all that alongside her, looking through her eyes. Nolan longs for a life uninterrupted. Every time he blinks, he's yanked from his Arizona town into Amara's mind, a world away, which makes even simple things like hobbies and homework impossible. He's spent years as a powerless observer of Amara's life. Amara has no idea . . . until he learns to control her, and they communicate for the first time. Amara is terrified. Then, she's furious. All Amara and Nolan want is to be free of each other. But Nolan's breakthrough has dangerous consequences. Now, they'll have to work together to survive--and discover the truth about their connection. Why it made the list: The premise of this book seems super out there, right? But somehow it works so well. Nolan and Amara are both interesting characters, and come from very different worlds. It's actually a lot of fun to see two such different worlds collide in such an unexpected way here. Synopsis of Cinder: Humans and androids crowd the raucous streets of New Beijing. A deadly plague ravages the population. From space, a ruthless lunar people watch, waiting to make their move. No one knows that Earth’s fate hinges on one girl. Cinder, a gifted mechanic, is a cyborg. She’s a second-class citizen with a mysterious past, reviled by her stepmother and blamed for her stepsister’s illness. But when her life becomes intertwined with the handsome Prince Kai’s, she suddenly finds herself at the center of an intergalactic struggle, and a forbidden attraction. Caught between duty and freedom, loyalty and betrayal, she must uncover secrets about her past in order to protect her world’s future. Synopsis of Scarlet: Cinder, the cyborg mechanic, returns in the second thrilling installment of the bestselling Lunar Chronicles. She's trying to break out of prison--even though if she succeeds, she'll be the Commonwealth's most wanted fugitive. Halfway around the world, Scarlet Benoit's grandmother is missing. It turns out there are many things Scarlet doesn't know about her grandmother or the grave danger she has lived in her whole life. When Scarlet encounters Wolf, a street fighter who may have information as to her grandmother's whereabouts, she is loath to trust this stranger, but is inexplicably drawn to him, and he to her. As Scarlet and Wolf unravel one mystery, they encounter another when they meet Cinder. 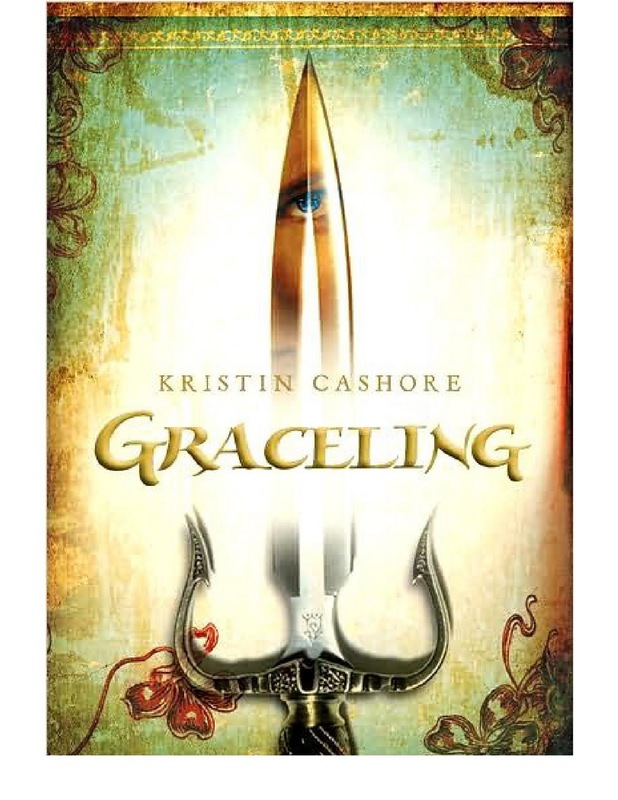 Now, all of them must stay one step ahead of the vicious Lunar Queen Levana, who will do anything for the handsome Prince Kai to become her husband, her king, her prisoner. Why they made the list: This is another series with an interesting premise, though I admit I was reluctant to read it at first. A cyborg Cinderella? Sounded too weird. But I think the problem was I thought she was going to be completely robot or something, which is not the case. 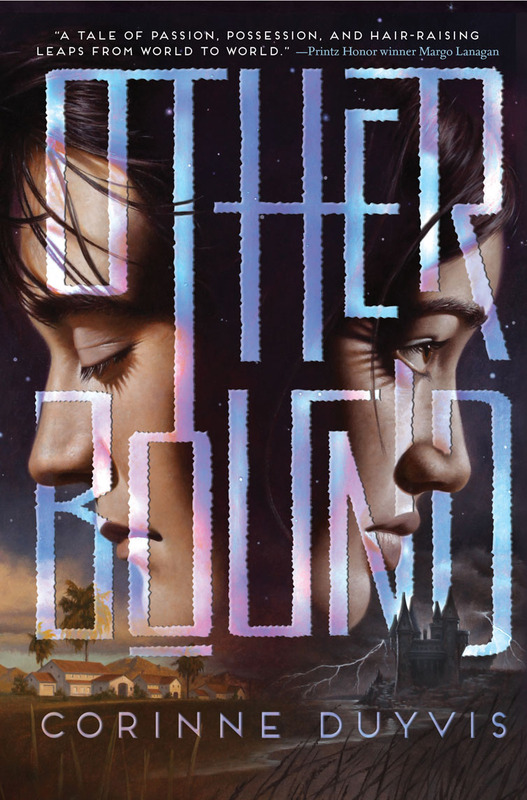 Cinder does follow some of the Cinderella story conventions, but also veers off onto its own course. 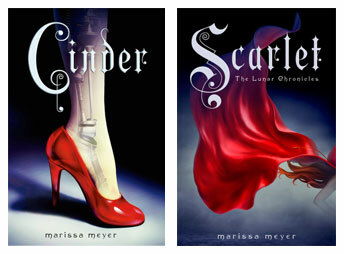 Scarlet is less about Red Riding Hood and more about the world Meyer has built, but it is fun to see these characters loosely based on fairy tale classics. Why it made the list: This is one of those fantasy epics, though not so epically long that you get worn out or anything. It has a love story and some royal intrigue, along with the whole powers thing. I haven't read any of the other two books in this series yet, but hopefully they are just as good. Synopsis: The capital has fallen. The Darkling rules Ravka from his shadow throne. Now the nation's fate rests with a broken Sun Summoner, a disgraced tracker, and the shattered remnants of a once-great magical army. Deep in an ancient network of tunnels and caverns, a weakened Alina must submit to the dubious protection of the Apparat and the zealots who worship her as a Saint. Yet her plans lie elsewhere, with the hunt for the elusive firebird and the hope that an outlaw prince still survives. Why it made the list: To be fair, I've enjoyed the entire trilogy, so it's not really a surprise that the third and final book made my list this year since the other two have made it in the past. This one took a little bit longer for me to get into, as the beginning was a bit slow. But once things started picking up, it moved at a quick pace and keeps you guessing at how it's going to end. 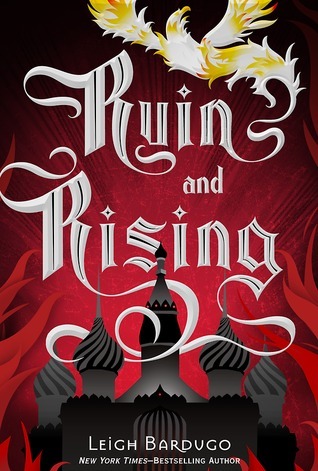 A fitting end to the Grisha trilogy. Synopsis: The photo on the card shows a boy who was found murdered, a year ago, on the grounds of a girls’ boarding school in the leafy suburbs of Dublin. The caption says, I KNOW WHO KILLED HIM. Detective Stephen Moran has been waiting for his chance to get a foot in the door of Dublin’s Murder Squad—and one morning, sixteen-year-old Holly Mackey brings him this photo. The Secret Place, a board where the girls at St. Kilda’s School can pin up their secrets anonymously, is normally a mishmash of gossip and covert cruelty, but today someone has used it to reignite the stalled investigation into the murder of handsome, popular Chris Harper. Stephen joins forces with the abrasive Detective Antoinette Conway to find out who and why. 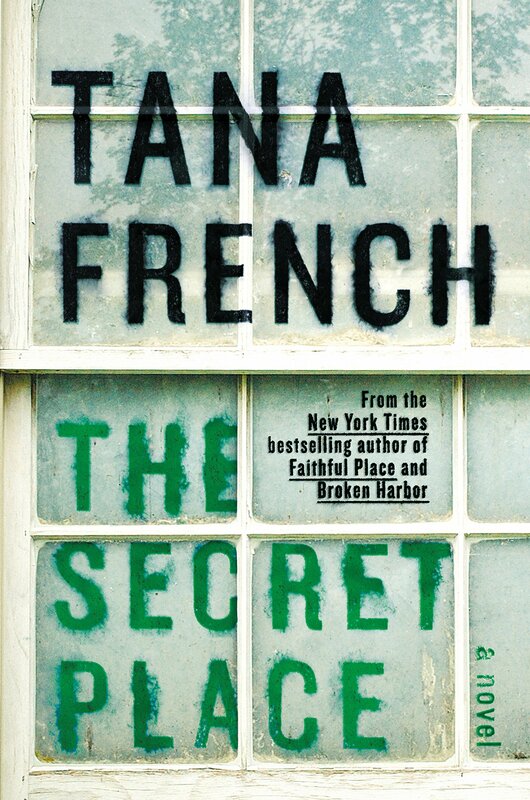 Why it made the list: Honestly, I have enjoyed all of Tana French's Dublin Murder Squad novels, and while I'm not sure this one is my favorite or anything, it's still well-done. The novel goes back and forth between the perspective of the detective and the girls, taking place both during one day and in the past, leading up to that day. Although there are certain aspects of it I'm not a huge fan of, overall the mystery is solid. I still haven't had a chance to read The Young Elites by Marie Lu yet, but that is a top to-read on my list. I'm also intrigued by All Our Yesterdays by Cristin Terrell. Honestly, my to-read list is quite long right now (you can view it over on Goodreads if you're curious), but if you have any recommendations for anything I should check out (or anything on my list that I should put at the top), please do let me know! I'm always interested in hearing about good books. I tend to like YA novels, as you may have guessed, but am open to all sorts!